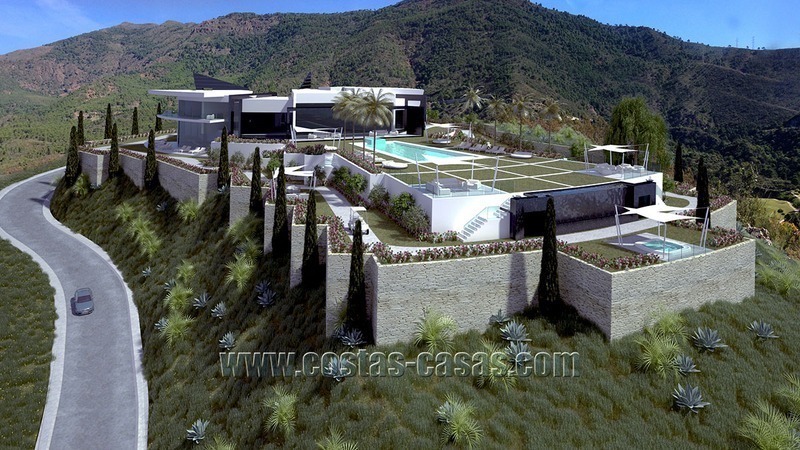 Exclusive luxury villa for sale in Marbella area on a large private plot. 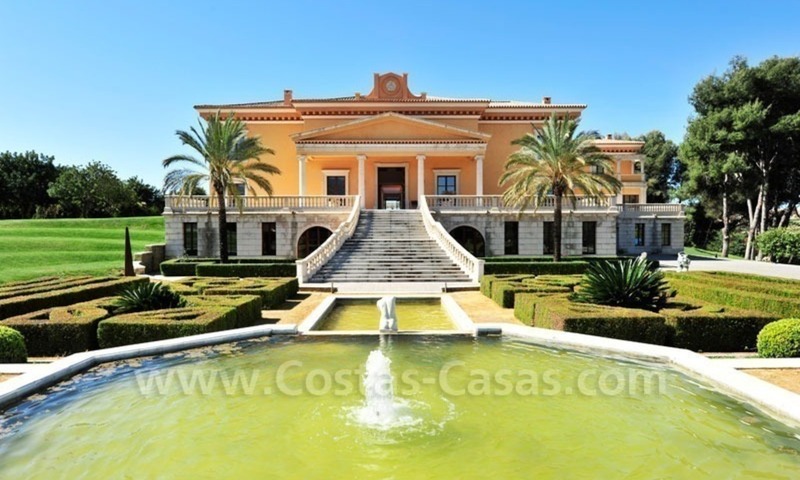 El Madroñal is a gated elegant country side urbanisation where home owners enjoy a lot of privacy and excellent sea views. 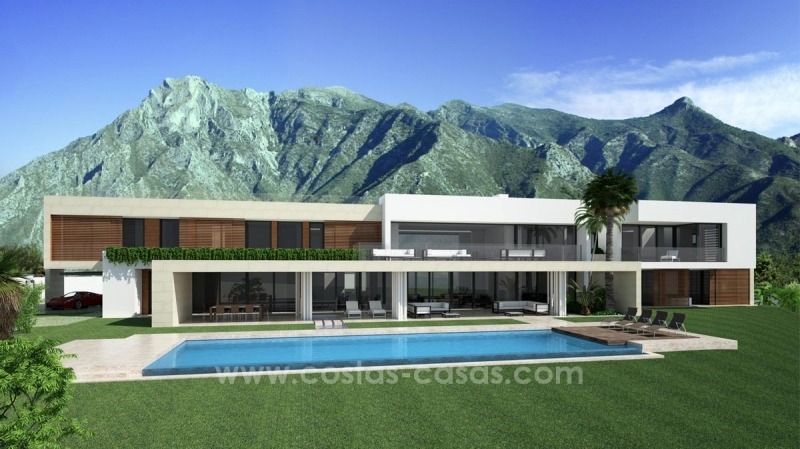 This almost new grand villa occupies a prime vantage point atop a level plot with nice views across the green undulations towards Marbella and the Mediterranean Sea and features the latest comforts, amenities and technologies. 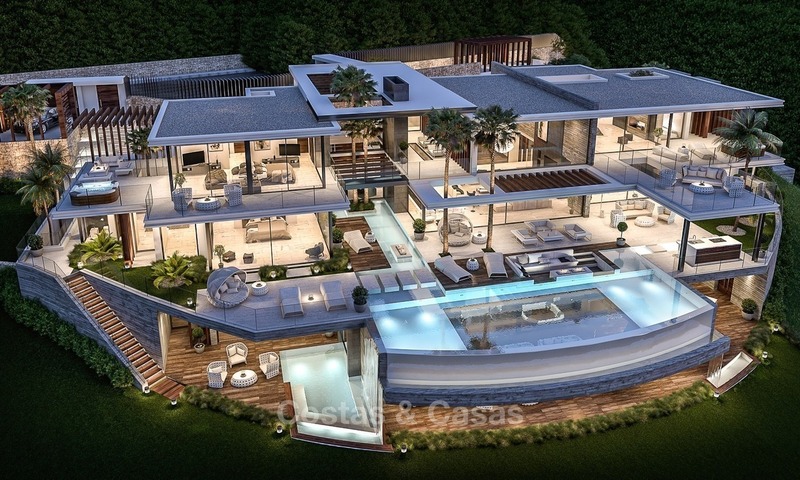 The qualities of construction and materials are of the highest standard as the owner is a perfectionist. In spite of its contemporary features, it has a classical symmetry to it and is more homely and intimate than its size might suggest. 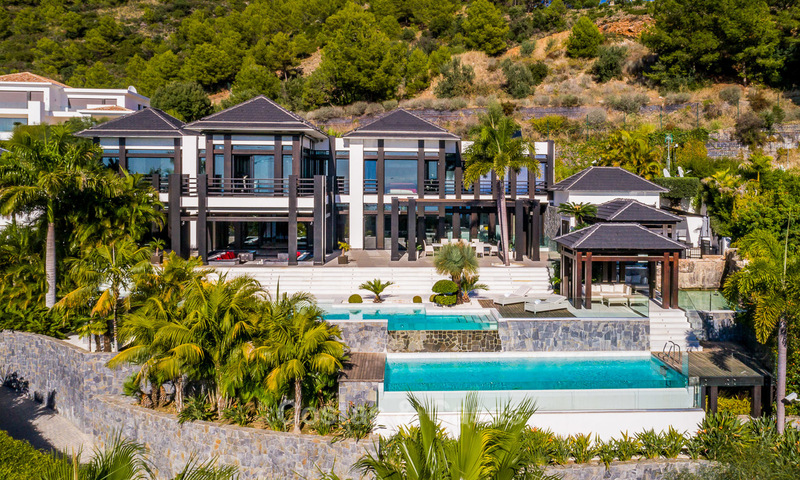 Furthermore there is a staff apartment, a fully equipped professional bar, a high tech home cinema and the large games room.